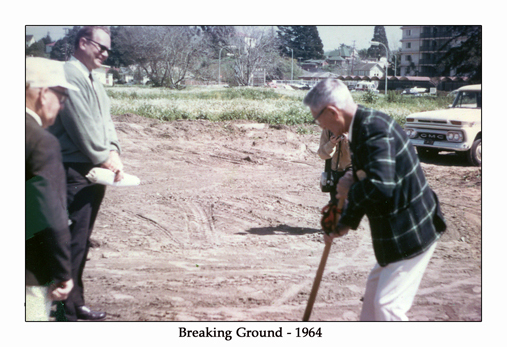 Ground was broken in 1964 in the then brand new San Lorenzo Park and the original grass green soon opened. 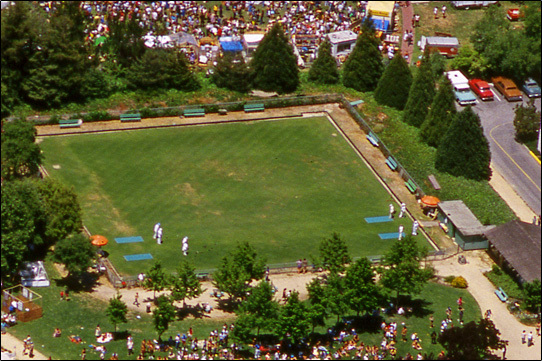 An aerial photograph of the original grass green during the annual Spring Fair - 1984. 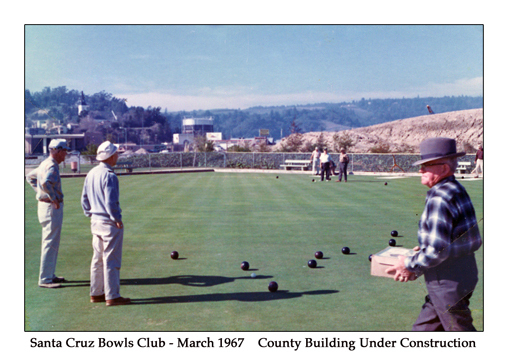 By 2004 the green was plagued with a disease and the city tore out the grass in 2005, then contemplated what to do next. 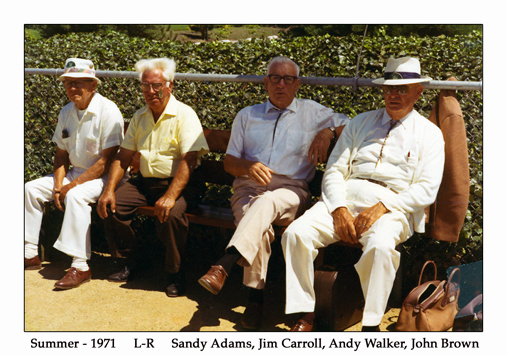 Members took up temporary quarters at Doreen and Graham Evans private green on Ocean St Extension and were also welcomed into the Del Mesa Club in Carmel. 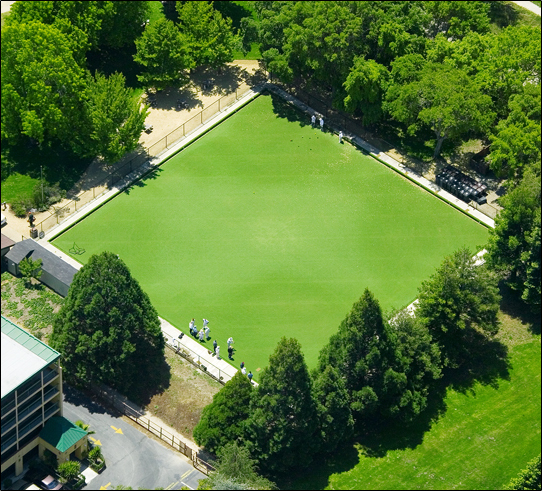 In late 2006 the city awarded a contract to AJ and EA Berry Pty Ltd of Victoria, Australia to install an artificial green. 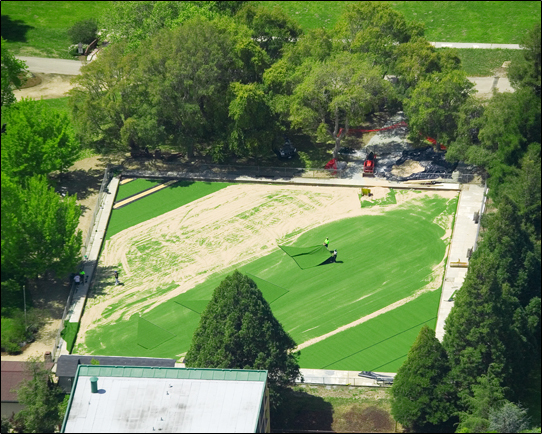 Installing the green, which cost about $200,000, was a grassroots effort, and local companies helped bring it to life. 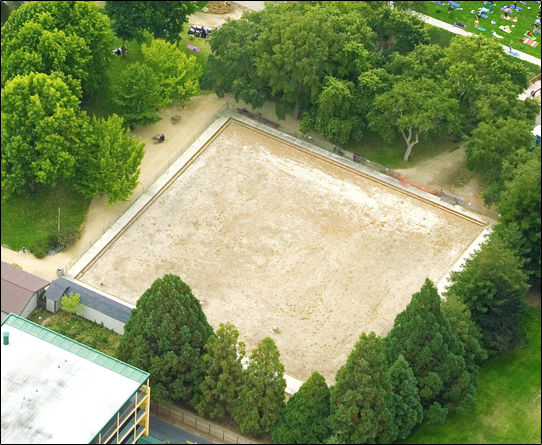 Greg Fyvie lent the city much of the money to create the new rink, Granite Rock donated materials and Granite Construction helped install some of the green free of cost. 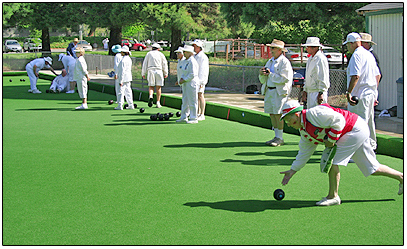 The hard work and donations from Peter Young, Harry and Steven Schoenfeld, Coral Sanger, Doreen & Graham Evans, Bill Ranney and many others drove the green to completion.